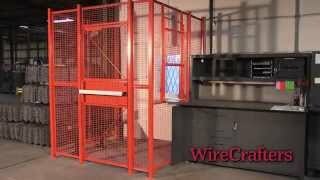 WireCrafters® is the nation’s leading manufacturer of Wire Mesh Partitions, Wire Mesh Security Enclosures and Wire Mesh Physical Barriers for machine guarding. 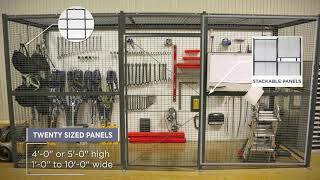 Our modular system allows us to build solutions for your exact security requirements; from an all stock ten-foot square by eight-foot-tall storage cage, to a custom forty-foot-tall building partition. 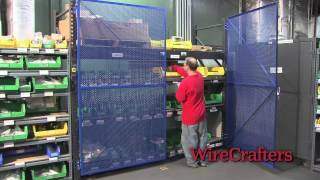 WireCrafters® also manufacturers RackBack®, a wire mesh pallet rack safety system designed to prevent stored items from falling off the rack. RackBack may also be configured with gates to control access to a rack system. 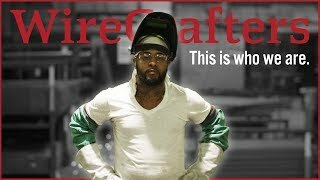 In plant guardrail is another product manufactured by WireCrafters. 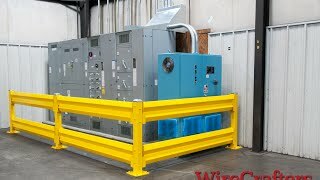 This system is designed to control in plant vehicle traffic and protect personnel and equipment.